Razer isn’t afraid to push innovation when it comes to the design and features of their computer peripherals. The Razer Mamba tournament edition gaming mouse is a direct result of their desire to create world-class products that are superior to their competition. 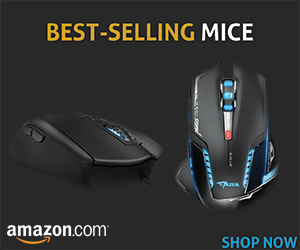 It features a 16,000 DPI gaming mouse sensor that is recognized by many as the best in its class. The rest of this mouse is equally impressive, and it really seems that Razer hit the nail on the head when designing this mouse. Let’s take a closer look and see how it holds up. Even though the mouse looks to be ambidextrous, it’s actually designed for right-handed users only. The shaping of this mouse is very subtle, but it just shows that less is sometimes more. We’ve found it to be very comfortable for all hand sizes. Those with larger hands will gravitate towards claw-grip, and those with smaller hands will be able to enjoy just how great this mouse is when held with the entire hand. The rubber side grips do a lot to maximize the overall precision and accuracy. As already mentioned, the sensor has an obscenely large accuracy of 16,000 DPI, which translates into 1ms response time. What’s more, users have the ability to adjust the sensitivity with 1 DPI precision. Most other high-end gaming mice are able to deal with acceleration up to 30 G, but the Razer Mamba tournament edition gaming mouse goes up to 50 G. Indeed, the mouse performs flawlessly. Playing twitch shooters suddenly feels a lot more accurate, and you quickly notice your score going up. The built-in Chroma lighting gives you the ability to illuminate the logo, scroll wheel, and even the side strips in any way you see fit. We really like that Razer is trying to make the lighting more than just a simple gimmick. Their open SDK enables developers to integrate it with their games for real-time lighting alerts and effects. Unfortunately, this feature is only rarely supported by games. If you play on a few different computers, you will definitely appreciate the Razer Synapse cloud settings storage solution. All your settings can be stored in the cloud and seamlessly downloaded from any computer. 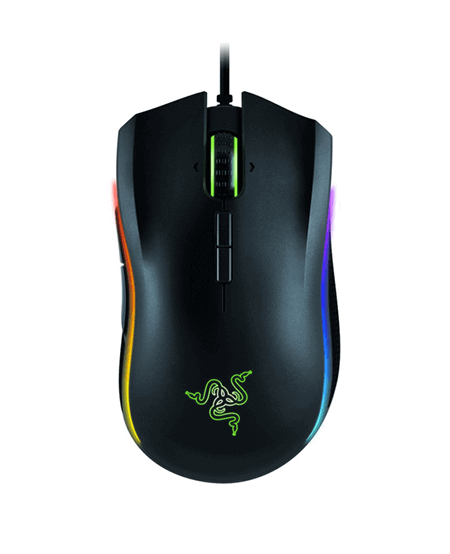 The only real negative about the Razer Mamba gaming mouse is the need to download a firmware update to fix a few issues that were left out by the manufacturer. It’s definitely not complicated at all, but it took us a few minutes before we figured out what’s going on. Other than that, the Razer Mamba is an excellent choice for all gamers who demand absolute precision and high-quality build.